Vintage fashion jewelry. 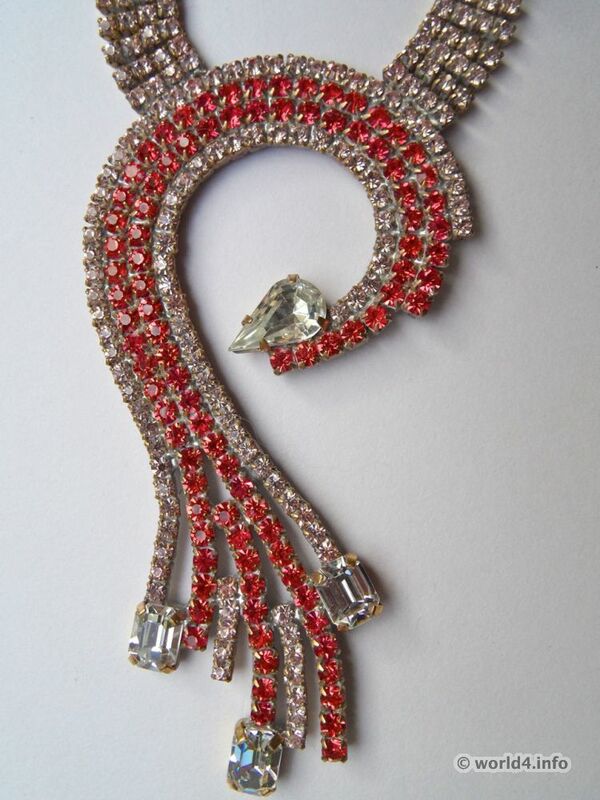 Art deco style from Gablonz. 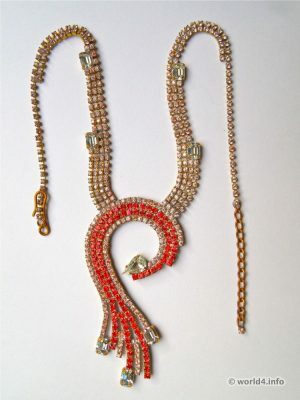 Collier, necklace of colored crystal glass, rhinestones. Modernist style. Manufactured in Gablonz Bohemia. Previous PostRhinestones jewelry. Ladybug brooch. Next PostRhinestones collar. 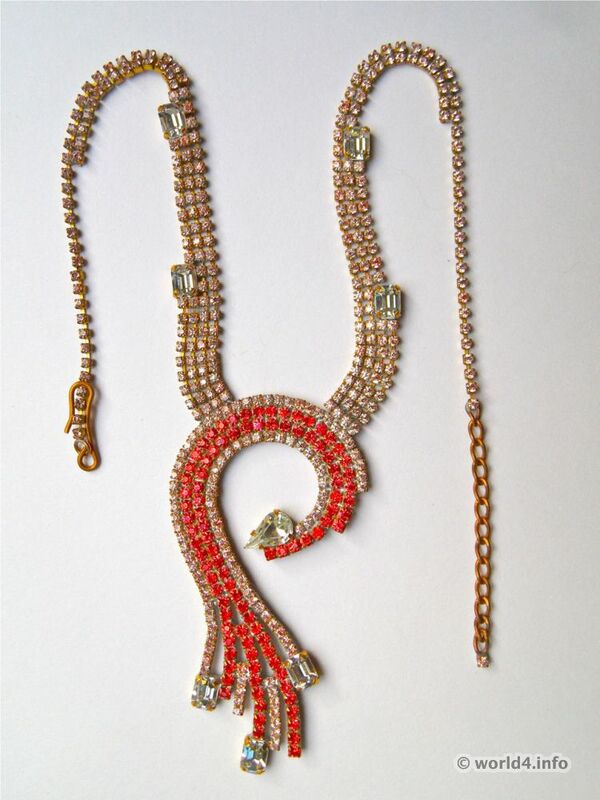 Vintage fashion jewelry.